David Thyne, a veteran of more than 30 years with the Maui Fire Department, was selected Monday to be the new fire chief. 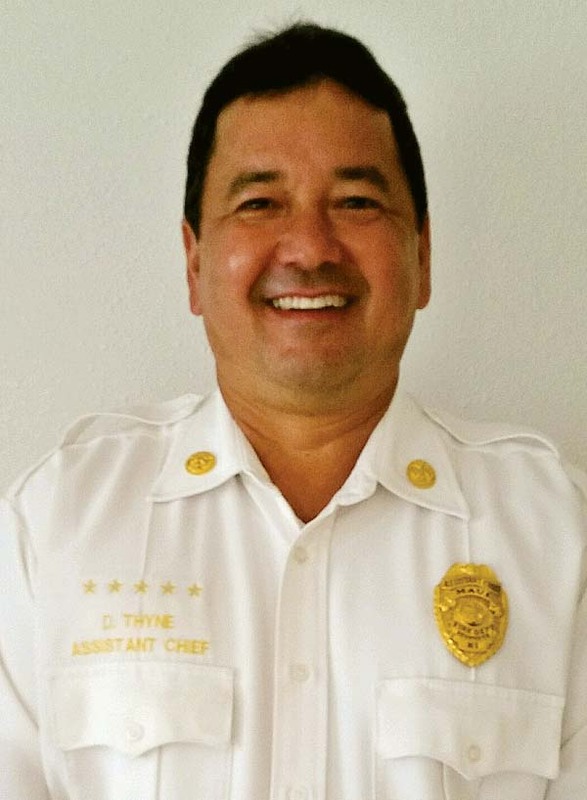 The Maui County Fire and Public Safety Commission chose Thyne after interviewing four finalists for the job Monday, said Commission Chairman Charles Hirata. “It is obviously an honor,” said Thyne, a Haiku resident who was driving home through Paia when he got the phone call Monday afternoon informing him that he had been selected. Thyne, 52, has been an assistant chief in the department since 2009, when then Chief Jeff Murray and then Deputy Robert Shimada tapped him for the position. Thyne joined the Fire Department on Sept. 16, 1987, as part of its first recruit class. He was promoted to driver in 1994 and assigned to the Training Bureau before transferring to the Lahaina Fire Station in 1992. In 2002, he was promoted to captain and assigned to the Kihei Fire Station. He moved to the Paia Fire Station in 2005. Three years later, he was promoted to battalion chief at the Kahului Fire Station. When he was promoted to assistant chief, Thyne was in charge of support services before transferring to operations in 2014. “Being a firefighter was a dream because I grew up at the Lahaina Fire Station,” where his uncles worked, Thyne said. After Murray announced he was retiring, Thyne said he began thinking about the chief’s position and what he could do in the job. For his interview, he put together a presentation on how he believes the department should move forward. “With the new mayor coming on, the new council coming on, it’s a good timing thing to really get off to a fresh start and try to work toward common goals,” Thyne said. Thyne was among four finalists for the job as administrative head of the department of 306 uniformed firefighters, 21 support staff and 61 lifeguards. The other finalists were interim Fire Chief Lionel Montalvo and Capts. Guy Danley and Kaulana Kino. Hirata said he couldn’t discuss the commission’s deliberation process, which is confidential. He said it also was important that the new chief make sure the department is fully funded so it can conduct operations — a need highlighted by the fires from Maalaea to Kaanapali that burned more than 2,000 acres as Hurricane Lane was approaching last week. At least 21 structures and 27 vehicles were destroyed in the fires. He said the commission wanted to move quickly to fill the job left vacant when Murray retired at the end of June after 10 years as chief. “We realized that we needed to be expeditious so that the department can function with a leader,” Hirata said. As word about the new chief spread Monday, Thyne said he hadn’t stopped receiving text messages and texting back. “My message to them is you deserve the congratulations, too because you were one of my mentors and somebody I learned from,” he said. 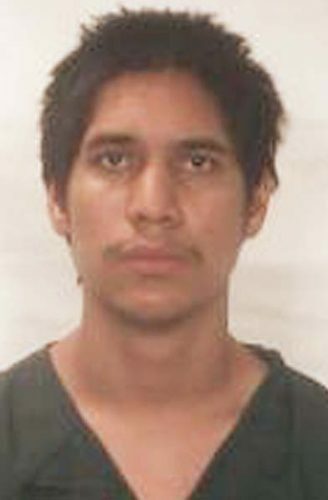 Thyne and his wife, Catherine, have three adult daughters — Jessica, Andrea and Ciara.